Team news for Saturday's League Two clash between Rotherham United and Morecambe at the Don Valley. 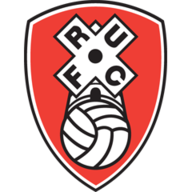 Rotherham caretaker boss Andy Liddell will wait on the fitness of two key players before naming his side. Defenders Ryan Cresswell and Nick Fenton are facing a race against time to be fit for the clash. Fenton (leg) stands a better chance of lining up against the Shrimpers but both will undergo late fitness tests. Youngster Luke Ashworth deputised at the heart of the defence during the 3-1 defeat at Shrewsbury but was substituted at the break. Liddell will weigh up whether to give him the nod once again or opt for Jason Taylor, the man who replaced him. There have been 15 goals in the Millers' last three matches, but they drew 0-0 at the Globe Arena in August. 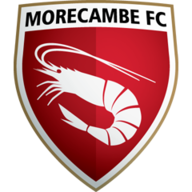 Morecambe boss Sammy McIlroy is boosted by the return of midfielder Stewart Drummond. Drummond missed last weekend's 3-0 home defeat to Wycombe as he was serving a one-match ban but he will come back into contention to face the Millers. Defender Laurie Wilson will be assessed after coming off after just 28 minutes of last weekend's defeat and Paul Scott (knee) and Paul Mullin (back) are sidelined. McIlroy has enjoyed a successful five-year tenure as Shrimps boss and brought the club into the Football League for the first time. Yet the current campaign has been a struggle and McIlroy's men lie just three places above the relegation zone. McIlroy said: "I am totally honest with myself and fully admit that the results haven't been good enough for me this season."